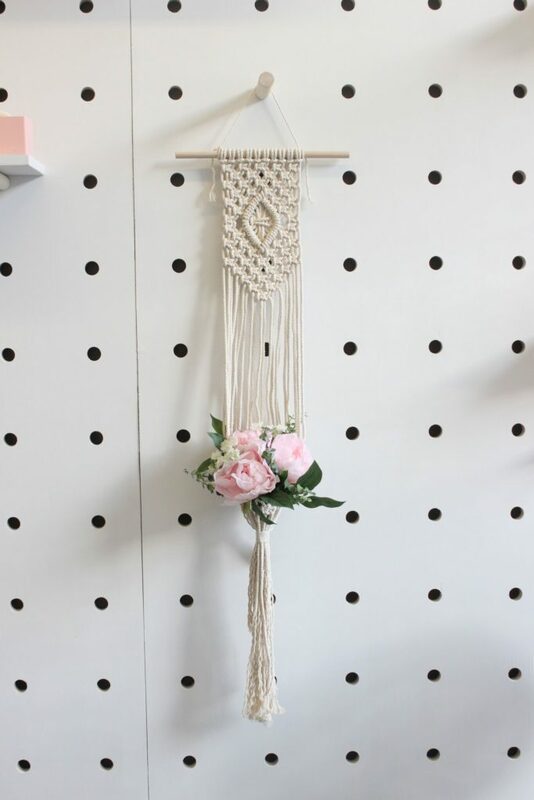 Join us for a Macrame Workshop with Melissa Taylor from Terra & Twine! In this class you’ll learn the fundamental knots and provide tips and tricks as you get knotty with your own work of art! The design for our class is versatile and can be completed as a wall hanging OR a plant hanger! Your call!At the end of the class you’ll be leaving with a masterpiece to hang in your home. Never done something like this before? No worries! These are entry level macramé classes, no experience needed. It’s the perfect way to spend your evening, unwind in our space and let the creativity flow. Refreshments will be served. If you’d like to bring your own refreshment you’re more than welcome to do so. Please arrive around 12:45/12:50 for introductions!